Far removed from their friendly domestic cousins, with just 3000* remaining, the quest to find the critically endangered african wild dog is a never-ending delight for tourists and safari guides alike. Small, fast and ferocious, packs of up to forty strong rely on the most established and intricate family relationships of all of the carnivorous mammals to survive. Led by an alpha pair these canines casually trot around herds of small prey, mostly impala, analysing their speed and potential stamina. The head of the pack, known as the scout, makes the final decision to single out the weakest and drive it towards the waiting team of hunters. Chase ensues. Wild dog pursue their prey at speeds of up to 60km/hr over a distance of 3-5km, finally wearing down and disembowelling the victim, feeding before it bleeds to death or dies of shock. It is not an easy way to kill or be killed. 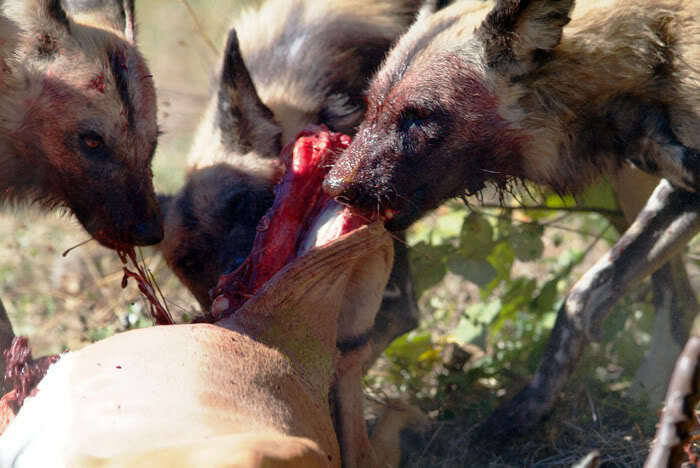 An impala has a one in ten chance of escaping a pack of hungry hounds. A single dog will starve without the strength and endurance of the pack. It is this reason alone that african wild dog are amongst the most endangered animals on the planet, and the most prized sighting on any safari. Shrinking territories leave little room to hunt with higher competition from lion, hyena and jackals. 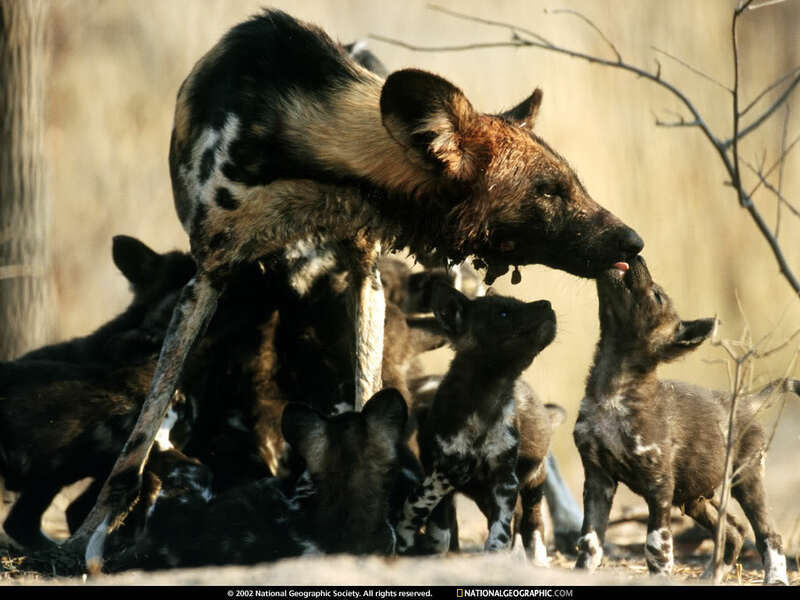 A wild dog family can travel up to 50km in a single day. 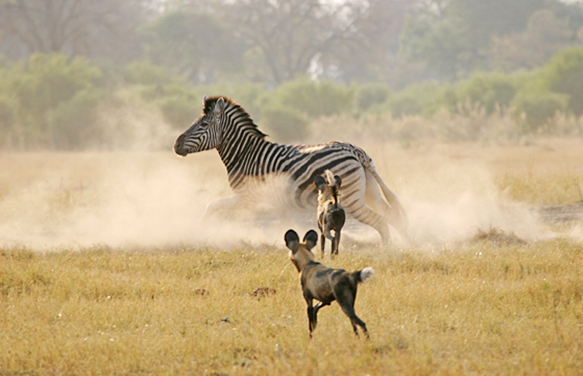 With hunts spanning kilometers of high speed running it is crucial to survival that they have enough ground to cover. Without this space to exist in pack sizes diminish, reducing the efficiency of the hunt and further decreasing population numbers. With so few remaining, saving the african wild dog is an ongoing and well received project. 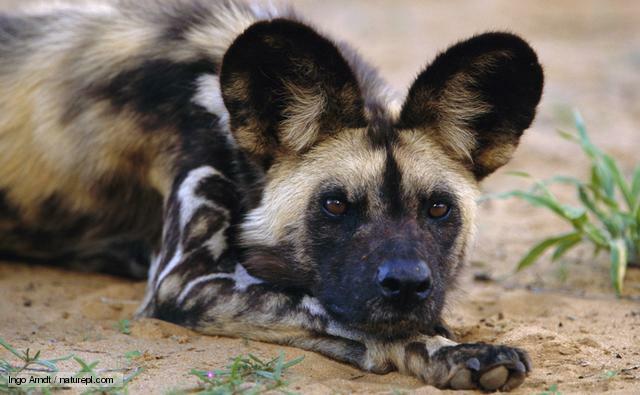 All sightings in southern africa are recorded and studied via a wild dog watch line and social media. WIth adorable puppies, complex family groups, superior hunting skills and the simple connection people so easily make to their much loved household pets, it is hard not to feel the thrill of the bush when a rare sighting is made. 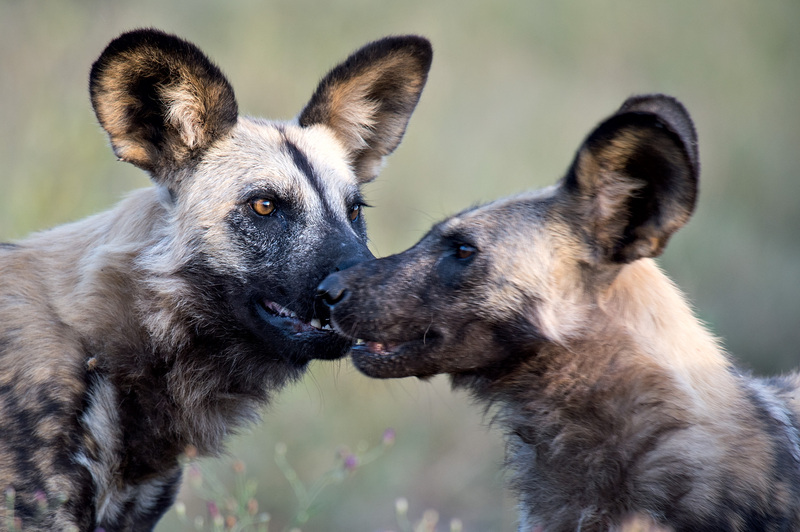 Southern parts of the Kruger National Park in South Africa, Chobe National Park and Morembi Game Reserve in Botswana have the highest concentrations of african wild dog. Occasional sightings are also made in Tanzania and parts of east africa. Listen closely to your safari guide… if he mutters the Swahili word “mbwa mwitu” hold your breath, take your time, and savour the unique opportunity to view the true hidden gem of africa.